And the Lord-Lieutenant of Dorset and her husband Anthony Pitt-Rivers got into their car and drove off towards their home at Hinton St Mary. That warm informality was typical of the very different style that Mrs Valerie Pitt-Rivers brought to her eight years in the lieutenancy, the period for which she represented The Queen in Dorset. It is a role that has always been associated with the status of great courtiers, invested with a sense of history and the best sort of pomp. 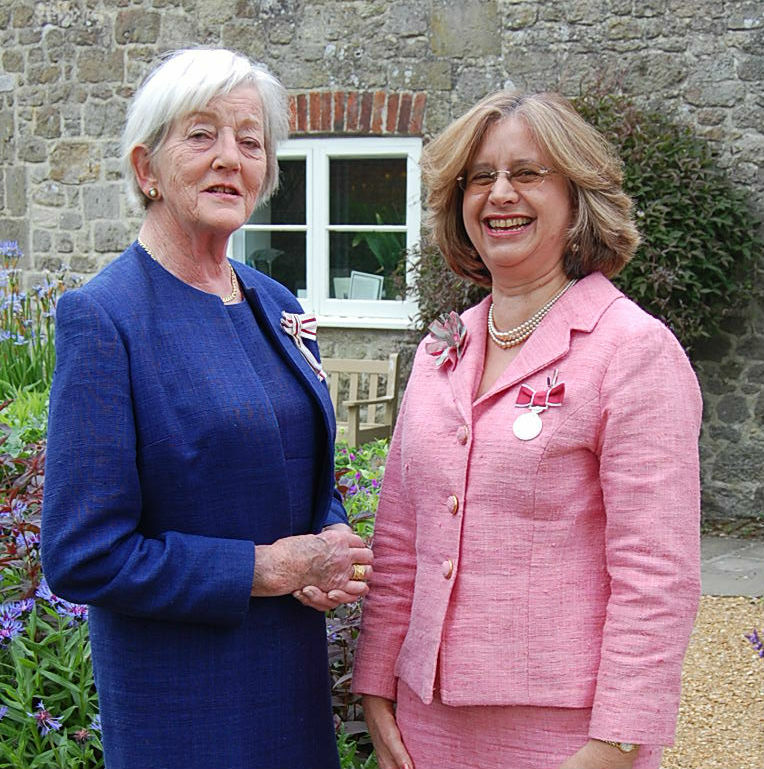 Val, as she is known by so many people, was a breath of fresh air, not only the first woman to hold the position in Dorset, but an energetic, immensely hard-working Lord-Lieutenant who found time for everyone, answered as many invitations as she could and helped to raise the profile of many organisations and projects across the county. The title of the Lord-Lieutenant, first created in Tudor times, is given to the monarch’s personal representatives, in every county of the British Isles, including Scotland. Currently, about one-third are women. In Dorset it covers the “old” county boundaries, including the relatively newly created conurbation of Bournemouth and Poole as well as the rest of the mainly rural county. While the Lord-Lieutenant, who may be male or female, has no role in local or national government, he or she is the local face of the monarchy, with ceremonial duties that are, to some extent, dependent on the incumbent’s own vision of how the job should be done in the 21st century. 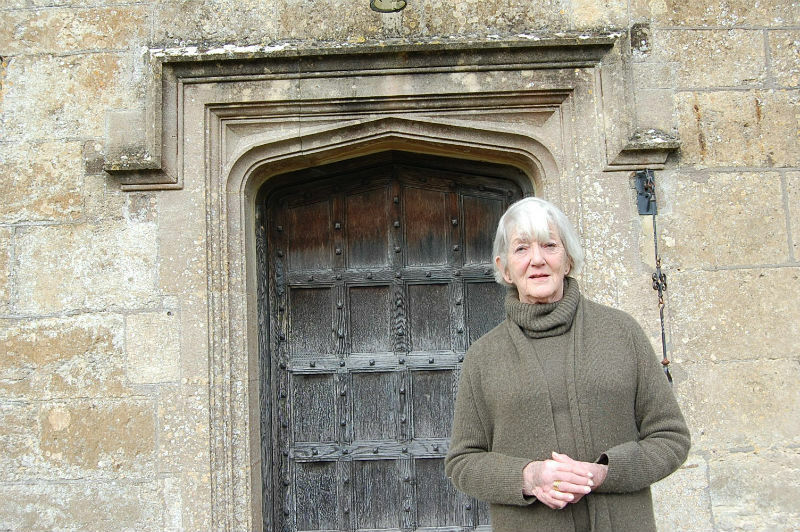 Val Pitt-Rivers is Mrs Valerie Lane-Fox Pitt-Rivers, born Valerie Scott in Yorkshire 75 years ago and a Dorset resident since 1970, when she and her husband moved to farm the family estate in Hinton St Mary. In 2006 she was appointed Lord-Lieutenant, and from then until her (age-related) “compulsory retirement” earlier this year, she has been a constant presence in the county, working tirelessly both behind the scenes and in the public eye for a number of organisations across Dorset. Over a cup of coffee (which she made herself – “sorry, it’s instant”) in the ancient manor house near Sturminster Newton, Val looked back on the eight years and said that she “enjoyed everything,” relishing the chance to meet many people she would never have met in the ordinary course of her life. The BEM recognises particularly people who have made a real contribution to their community – the Lord-Lieutenant presents the awards at a ceremony, attended by recipients’ families and friends. “They are always so modest and their families are so proud,” she said. Her period in office included one very exciting year – 2012, the year of The Queen’s Diamond Jubilee and the Olympic Games. Highlights of that year included the visit to Sherborne by The Queen and The Duke of Edinburgh. Among the special events laid on for the visit were a display of the best of Dorset food in a marquee and an exhibition of work by Dorset craftspeople and makers in the Abbey. A hamper of food from the Dorset producers was presented to The Queen who seemed delighted with it. As Lord-Lieutenant, Val took an interest in so many aspects of life in the county – supporting the work of cadets and the armed forces, improving the welfare of prisoners through the Friends of Guys Marsh, raising the profile of the Friends of the North Dorset Women’s Refuge, of which she is president, supporting the arts, promoting Dorset business and encouraging apprenticeships for young people. She worked with various entrepreneurs and businesspeople and talked to the principals of Bournemouth and Poole College and Weymouth College to raise the profile of apprenticeships. For many years, long before she became Lord-Lieutenant, Val Pitt-Rivers was known for her active involvement in arts organisations, particularly the visual arts. She started Dorset’s Arts in Hospital organisation in Dorchester in 1987 – it was one of the first in the country. She has recently given up her involvement in the group but it continues to foster artistic talent in the county and the paintings, photographs and sculptures around the hospital and in its courtyard spaces give real pleasure to patients and visitors. Her long record of service, culminating in the years as Lord Lieutenant, was recognised when she was appointed a Commander of the Royal Victorian Order in the New Year’s Honours. It is hard to imagine this energetic woman subsiding into quiet retirement. As her successor, Angus Campbell settles into the role as Dorset’s new Lord-Lieutenant, Val Pitt-Rivers looks forward to new challenges and enjoying her many interests, including opera. She is president of the Dorset Archives Trust and has been appointed a Pro-Chancellor of Bournemouth University, an exciting new role which will enable her to become involved in the work of the university and the lives of the students and to raise the profile of the university across the county. “I am very keen for Bournemouth University to be known as Dorset’s university,” she says. The Lord-Lieutenant, Mrs Valerie Pitt-Rivers, with The Queen, on her Diamond Jubilee visit to Sherborne. Val Pitt-Rivers presenting the BEM to Anna McDowell for her services to Shaftesbury Museum and Shaftesbury Abbey. Val Pitt-Rivers with members of the voluntary Gillingham Car Scheme, at the Hall and Woodhouse Community Chest presentation evening. Val Pitt-Rivers braves the cold wind, outside the door of Hinton St Mary Manor. Posted in Miscellany on 28 March, 2014 .